Almost twenty years have gone by since the first congress “Living in the Encounter” took place in 1998. The impulse brought us all over Europe: from Berlin, Dornach, Prague, The Hague, Vienna and Brussels all the way to the Balkans. In nine months the seventh and last European Congress will take place in Belgrade, the central hub of the Southeast Europe. 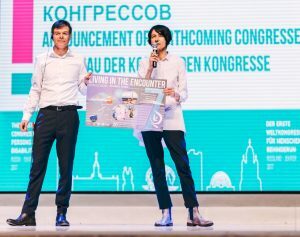 At the first congress in Berlin focus was more on the own life situation. Later interpersonal relationships became more and more important. The gathering in Belgrade will take a new dimension: Man is an angel to man! Do not miss this last opportunity – come to Serbia! Belgrade is looking forward to welcoming you!